The Crow and the Powderpuff | A Creative Makeup & Beauty Blog: Chunky Bling Jewelry review... shinies yes please! 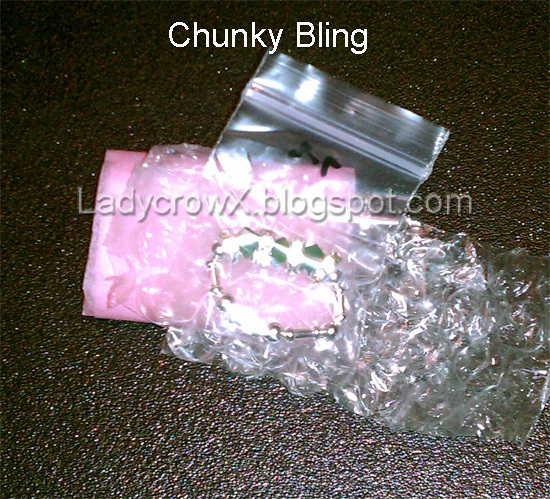 Chunky Bling Jewelry review... shinies yes please! 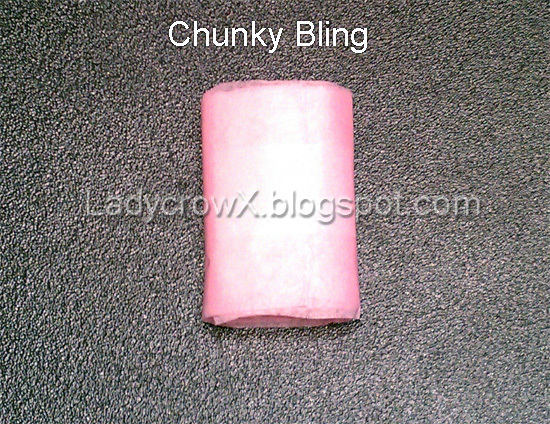 So a while back I was offered a chance to check out Chunky Bling, I'd never heard of them before so I went to look on their site. 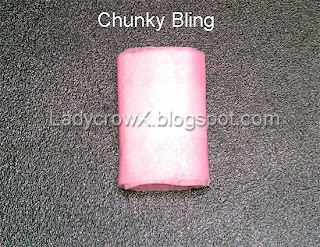 They have rings, bracelets, necklaces, and watches... some with beading some with crystals and some combined. 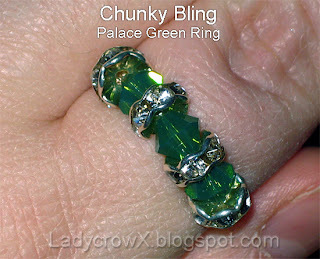 I went for the Swarovski Green Palace Ring because well... I love green and as a crow I certainly love the shinies! The person I spoke with was very nice, let me know what was going on before I knew it I had my ring. It came wrapped in this pink paper (I used my camera phone for this since I couldn't find my camera). Very neatly wrapped. Inside that it was in a tiny plastic baggie that was wrapped with bubble wrap. Inside that I had a gorgeous sparkling ring! The band is made of beads and elastic band material, it fits any of my fingers perfectly so I can wear it however I want to. I love the way the green beads look and of course I love the shining Swarovski crystals! The cost of this ring is $12.95 currently. Disclaimer: Some or all of the products shown in this post were sent by the brand or their PR department for potential review or use. The Crow and the Powderpuff does not guarantee reviews. I strive for honesty to my readers and all the opinions here in are my own honest opinions. Sorry, I don't like rings with shining crystals, I prefer simple designs. The colour is great and the prize too.